Dr Hugh Atkinson, Senior Lecturer in Politics and Public Policy at LSBU and a Management Group member of the London RCE (Regional Centre of Expertise) on ESD (Education for Sustainable Development), conducted a double event of a seminar and a book launch at London South Bank University (LSBU) on 8 February 2018. Is it possible to do a new kind of economics? Is sustainable economic growth a contradiction in terms? Is population growth the elephant in the room? The book launch unveiled Dr Atkinson’s latest book, The Politics of Climate Change under President Obama. Professor Patrick Bailey (Deputy Vice Chancellor and Chair of the Sustainability Steering Group LSBU) delivered the welcome speech. Talking about his book, Dr Atkinson placed the evolution of US policy within broader debates on the politics of climate change in the USA. He was optimistic, stating that there still exists a latent potential for America to act as a world leader on this issue. The second meeting of the LSBU research group ‘SUSTAINABILITY: Policy, Practice and Pedagogy’ was held before this double event. RCE London is part of this group, which was launched in November 2017. 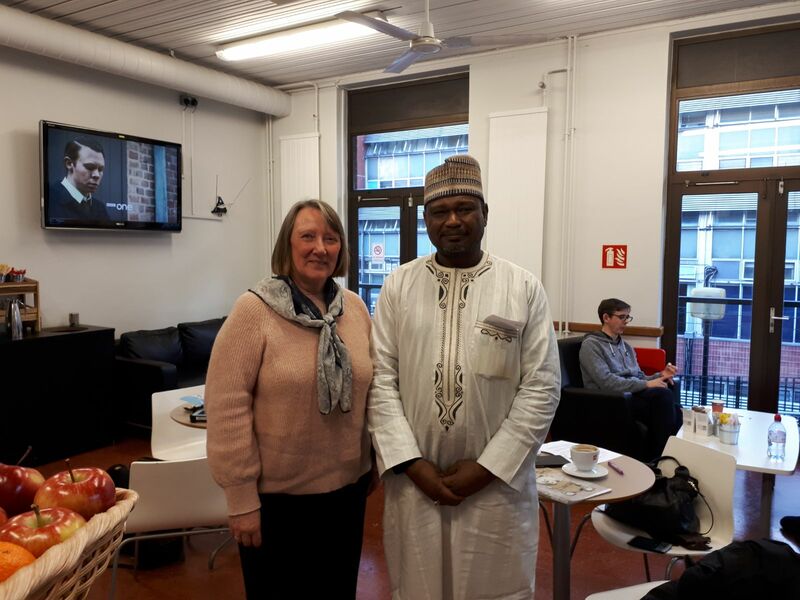 In January 2018, Lynn Vickery (Co-ordinator of the London RCE) met with Mr Ali Bukar Ahmad from RCE Kano on a London ‘stop-over’. The outcome of that meeting is a possible collaboration with the African RCE Youth Network, RCE Penang, Malaysia to produce a ‘virtual’ conference to discuss how Education for Sustainable Development ESD can assist in mitigating the problems of and challenges of youth unemployment, climate change, TVET (Technical & Vocational Education & Training), entrepreneurship and other reasons that trigger mass migration to Europe. The ‘virtual’ conference is proposed to be held at the end of April, 2018. Watch this space for more news in due course.